We are proud to officially announce Project Freelancer after our short trial period with it was successful. Project Freelancer continues our mission of helping those in the mundane world with investigation of individual cases that might not otherwise receive attention in the Secret World. The concept of Project Freelancer is simple: more hands make for lighter work. We have a backlog of cold cases that we have had to give lesser priority because we simply did not have the staff to deal with them. It's a hard thing to have to tell someone who is desperately seeking assistance that they have to hold on even longer now. It did not sit well with us to turn those who need help away from our doors. We needed a solution. Freelancers are that solution. If you are interested in joining us as a Freelancer, please take a look at our site for further information. Be sure to review the Freelancer Memorandum and the Freelancer FAQ. We offer competetive short-term contracts and a great working atmosphere. If you have questions, feel free to contact us in our public forums, Twitter, or Discord. The only question we cannot answer for you is the one you must ask yourself: Are you a Freelancer? Thursday is the return of UPSTAIRS @ The Horned God. Get out and socialize with your co-workers and others from around the secret world. This has been going on for a couple of months now, and always has a pretty decent turn out. 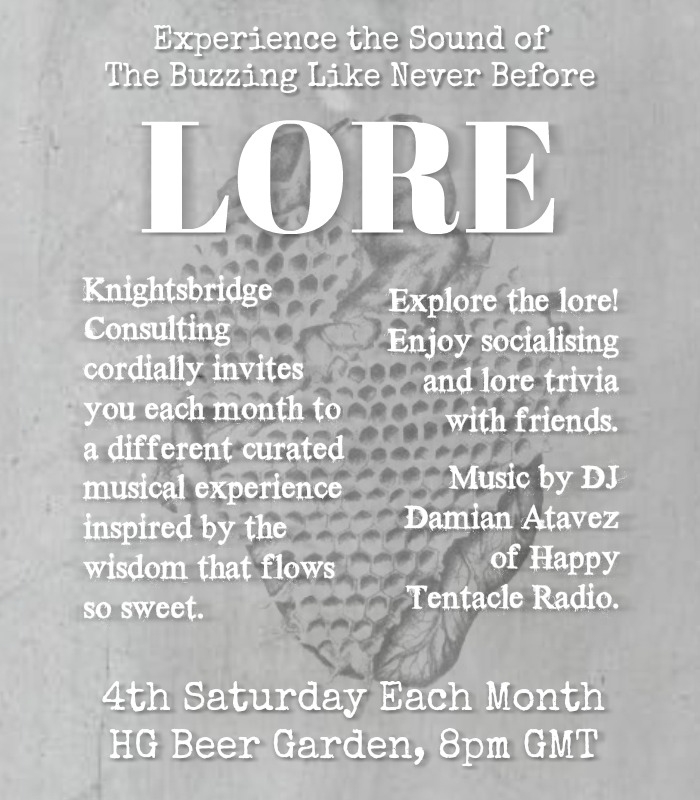 Thursday, March 22 @ 6pm EST - Upstairs of the Horned God. All in all it's going to be a bit of an active week! Can't wait to see people out for everything! It's a new year, and that means it's time for us to focus on what Knightsbridge Consulting has in store for the coming year. First off, we are indeed hiring, and looking to take on many new consultants. We have case files that need to be looked into, as well as an ongoing investigation of the Westfield Watcher in New Jersey. So, if you're looking to apply some of your investigative and research skills, and are interested in a job, Knightsbridge wants YOU. Secondly, we've been running UPSTAIRS at the Horned God for just over a month now. Occuring every other Thursday, UPSTAIRS is a social gathering for the community in Ealdwic. All proceeds from the event go to support charities, so you don't have to feel bad about ordering that second beer. It's also great for networking with people who do similar work. Our next event will occur this Thursday, January 11th, so I hope to see you there. That's just where we're starting, and we'll have more coming up in the near future. So make sure you remain active on the company site to stay in the loop.